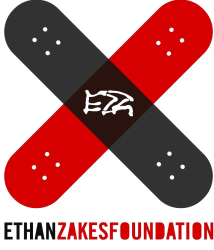 Recognizing that Ethan’s death could have been avoided had his family simply known that he had the disease at the time of birth, the Ethan Zakes Foundation was formed to advance newborn screening for ALD. The Ethan Zakes Foundation began working with the State Board of Health in 2013 to explore the possibility of adding ALD to the state’s newborn screening panel. Through these efforts, the Board of Health convened an expert advisory panel to evaluate Adrenoleukodystrophy (ALD) for potential inclusion on the state’s panel of diseases that all infants are screened for at birth. In October of 2015, the expert advisory panel voted unanimously in favor of adding ALD to the state’s newborn screening panel. In January of 2016, this recommendation was presented to the full Board of Health. The next step is for this decision to be written into law and for the state legislature to approve the modest fee increase that will be required to pay for the additional test. It is estimated that adding ALD to the current newborn screening panel will add approximately $8 Dollars to the current testing fee. This fee increase will be presented to the Washington State legislature for approval during the 2017 legislative session. In the process of working with the Washington State Board of Health, the Ethan Zakes Foundation has offered to purchase the necessary laboratory testing instruments needed to perform the newborn screening test for ALD. These instruments are called tandem mass spectrometers. Although the Washington State Newborn Testingh Lab already has three of these instruments, it is estimated two additional tandem mass spectrometer will be required to handle the additional volume. The Ethan Zakes Foundation is actively raising money to pay for these instruments. It is estimated that the foundation needs to raise approximately $500,000 to meet this commitment.